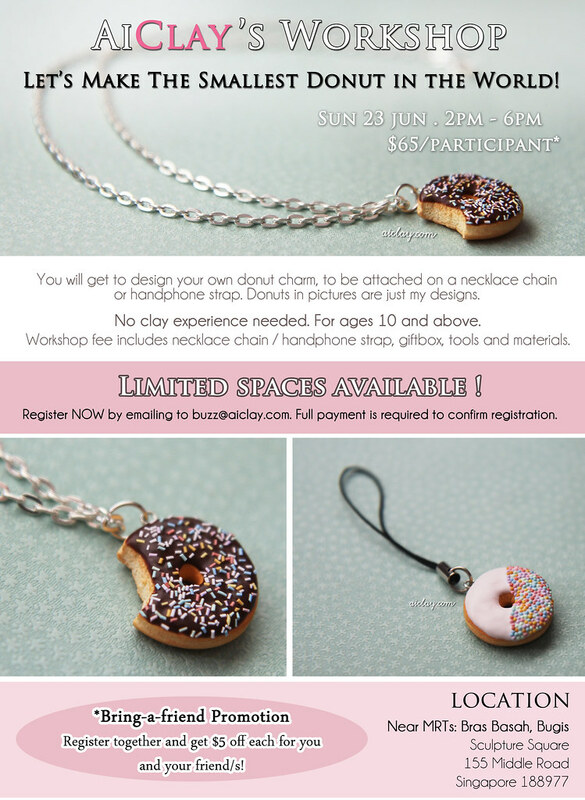 AiClay - a Haven of Miniature Food: Shall we craft together in June? Shall we craft together in June? If you can't make it for the public workshops below, Home Studio Workshops are now available! Just email me with your preferred dates and workshop content. For everyone who have been requesting for personal classes, I am now able to conduct classes for a group size of 1-4 participants. Please check http://www.aiclay.com/p/workshops.html for more information! P.S If you're subscribed to AiMail, do check your inbox for something from me to you! We made miniature macarons together! Iced Gem Biscuits & July Commissions!